On the eve of his birth, his mother swallowed a potion which she hoped would stop her feeding on her young. The potion worked, but with dire consequence. Clump is born unable to stand the taste of flesh upon his lips. Aware he will be killed if his dark secret’s revealed, Clump does his utmost to stay out of trouble. However, his ability to attract unwanted attention means he’s accused of a crime he didn’t commit, and is forced to flee his village. This takes him on a magical journey where he strikes a dubious deal with a witch, is saved by a Plainwalker and finds a friend in an Elvin princess. This is a touching story of unlikely friendships, unexpected love and the most deadly of betrayals. ‘Clump, A Changeling’s Story’ has received nothing less than 5 stars! What do Readers Say About the Book? Loved this book; you wont want to put it down! 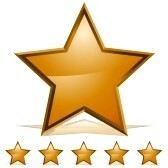 5 ★★★★★ stars! The Windiog is back! By Emmas Jones … 5 ★★★★★ stars! You were born different. Your mother loves you, so do your two sisters, but you father does not. In fact, he hates you. Your father is the chief of the pack and village and he accuses you of a crime you didn’t commit. So much so, that you were forced to run away from your loved ones. This is what happens to one Windigo. His name is Clump. I absolutely loved this book. They say that “practice makes the master”. And that is certainly true. Lynette E Creswell has written the best book to date. Clump originally made his debut in the Betrayers of Magic book and he was such a great character in that book. Now in a book all of his own, Clump goes on quite a bit of a journey. There are many ups and downs to this tale, and also many new exciting characters. Lets start first with the most loving. Isis. She is the mother of Clump and of course loves him very much. Clump also has two sisters Felan and Brid. Brid starts a journey all of her own with a certain windigo called Horith (but you will have to read the book for that one 🙂 ) The Chief of the pack, village and also father to Clump is Serpen. Not a very nice windigo and not a good father to Clump. As Clump sets out on his journey, he meets other characters such as a witch and a Plainwalker called Bruis. There’s also a Wyvern called Serephine thrown in there and a mysterious wolf that’s gold in colour and on fire. Crystal the princess from the amazing magic series also makes an appearance. In a captivating world of fantastical creatures, a traditional father’s disappointment in his son who is born to lead his kind into a brave new world, a peaceful, fairer, and more progressive world, finds voice in the prolific imagination of author Lynette Creswell. This young-adult novel is full of action, adventure, important lessons in morality, and is easy-to-read; a good story that holds a young person’s short attention span and leaves her/him feeling satisfied and entertained. Creswell possesses the gift of storytelling, which, in the genre of young-adult fiction, requires special writing skill, empathy, and a youthful heart. I highly recommend this book. *These reviews have been taken from Amazon where there are many more for you to read. To order your copy of this great fantasy story, please choose one of the links below.